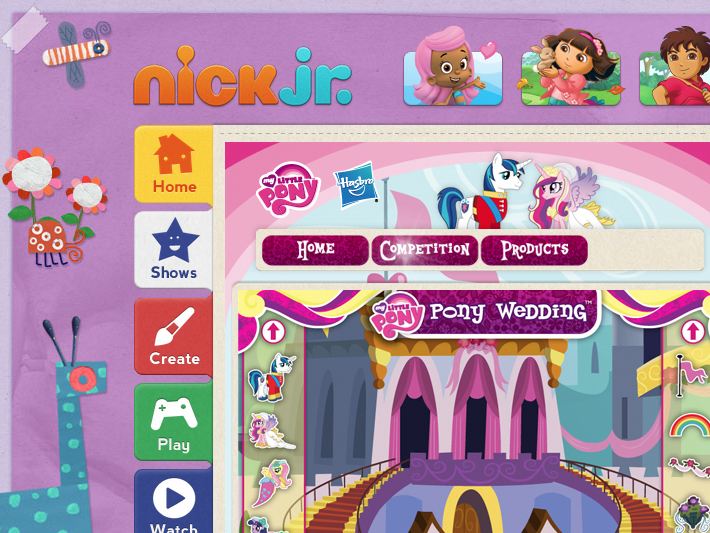 To create excitement about their upcoming My Little Pony Wedding, Nickelodeon asked Mind Orchard to create a simple game which would give users the chance to win tickets to the main event itself. I decided to create what was essentially a sticker book. 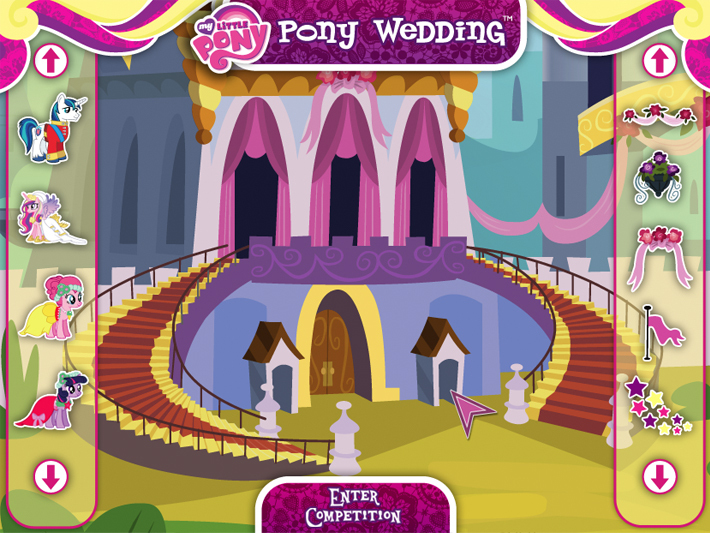 I used the main castle as the backdrop and allowed users to pick and choose which ponies and accessories were featured and where they would be placed. 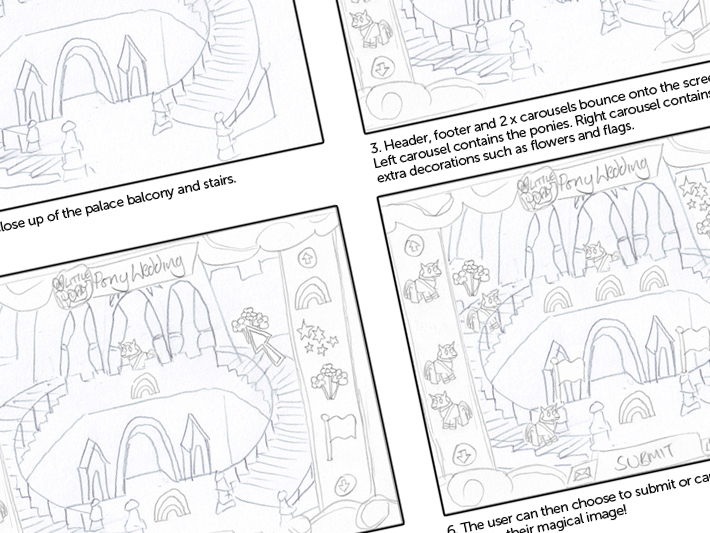 Once finished, they could submit their scene for a chance to win.